We are offering a wide range of Horizontal Drafting Machine to our customers as per their requirements and to the full satisfaction of them. We are leading supplier and trader wide range of Horizontal Drafting Machine Complete with Drawing Board Size 42x30, adjustable stand and pair of metric scale.The Drafting Machine is sleek & sturdy in design to accomplish more work in less time with high accuracy through horizontal guide ways. The Drafting Machine is sleek & sturdy in design to accomplish more work in less time with high accuracy through horizontal and vertical guideways. The elegant adjustable stand takes minimum space & effort to work with. available with us is a wide range of drafting machine that is used in major construction or civil engineering projects for preparing drawings and topographical maps. These are commonly used by engineers, surveyors and architects for drawings, rough sketches and calculations. Manufactured using quality material, our range is offered in various specifications to our clients. - SLNE provides compact ball bearing draft gearing unit For all makes of ring frames. 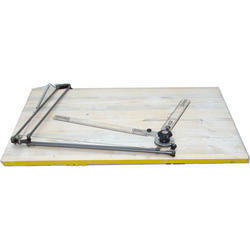 - This drafting units are capable to handle a draft range from 10 to 35 draft in ring frames. This gearing unit is provided with Hardened Helical Gears. We are engaged in providing a wide assortment of Drifter Machine. - Available with unique 90 / 90 protactor Tubular steel structured stand for rigid and perfect balanceand easy for operation. 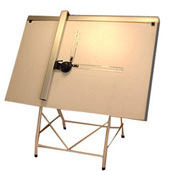 - ( 60x40)folding stand designed for economy and space saving Pvc lined Drawing Board is specially designed for rigidity and trouble free service. Excisting lk54 comber Drafting system is converted to latest LK69 Model three over three conversion and lk54 comber drafting system upgradation. 04. Better U% and better CV will obtained from existing five over three system.